From 2010 to 2014 the group is accused of hacking the computer networks of Marketwired LP, PR Newswire Association LLC, and Business Wire. They are thought to have gained access to 150,000 press releases that were about to be released. 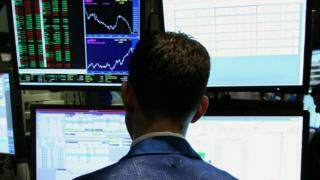 Iermolovych, and other Ukrainian citizens thought to have participated in the hacking, would rapidly pass the stolen information to stock market traders in the US. They would then trade on the unpublished information before that day's market closing. According to the Department of Justice, the trades would occur in "extremely short windows of time between when the hackers illegally accessed and shared the releases and when the press releases were disseminated to the public by the newswires, usually shortly after the close of the markets". Iermolovych will be sentenced in August and could face up to 20 years in jail.